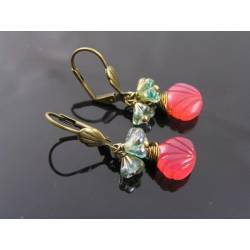 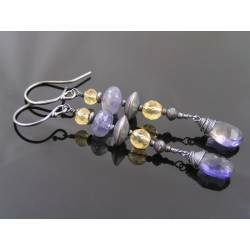 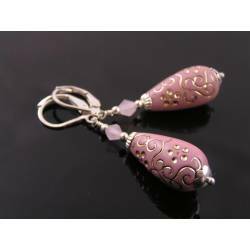 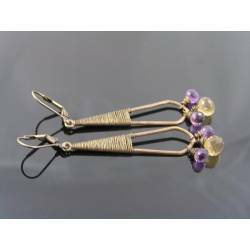 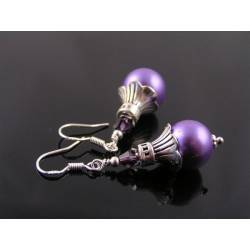 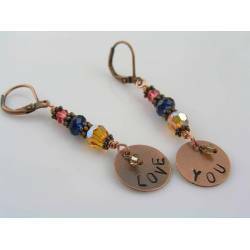 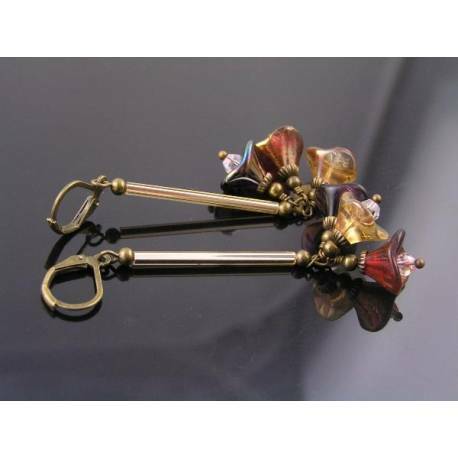 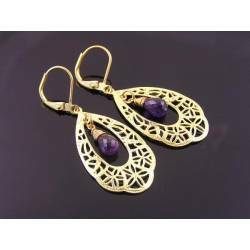 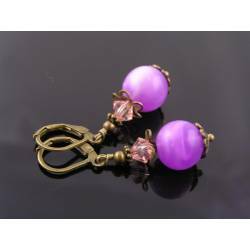 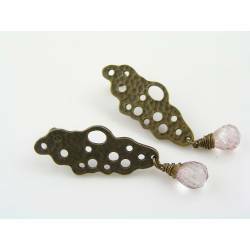 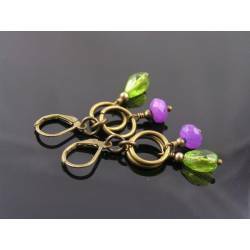 For these earrings, I used premium Czech glass flower beads in a gold, red and purple shade with gorgeous shiny finish. 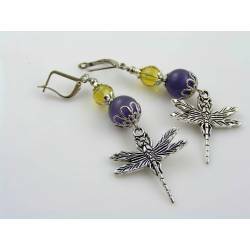 The beads are - what I call - fully finished. 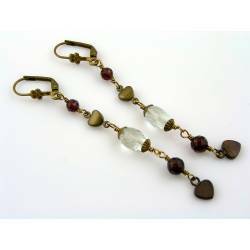 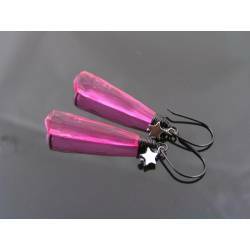 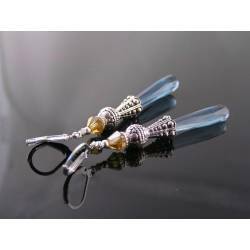 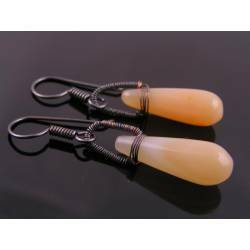 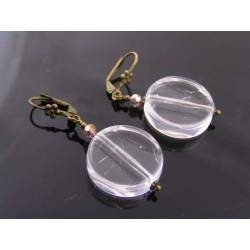 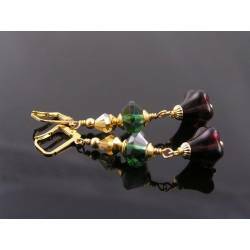 With that, I mean that they have sparkling crystals inside as well as bead caps and little brass beads before they are wire wrapped to a long Czech glass bugle bead link. 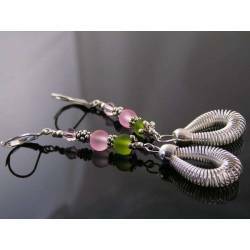 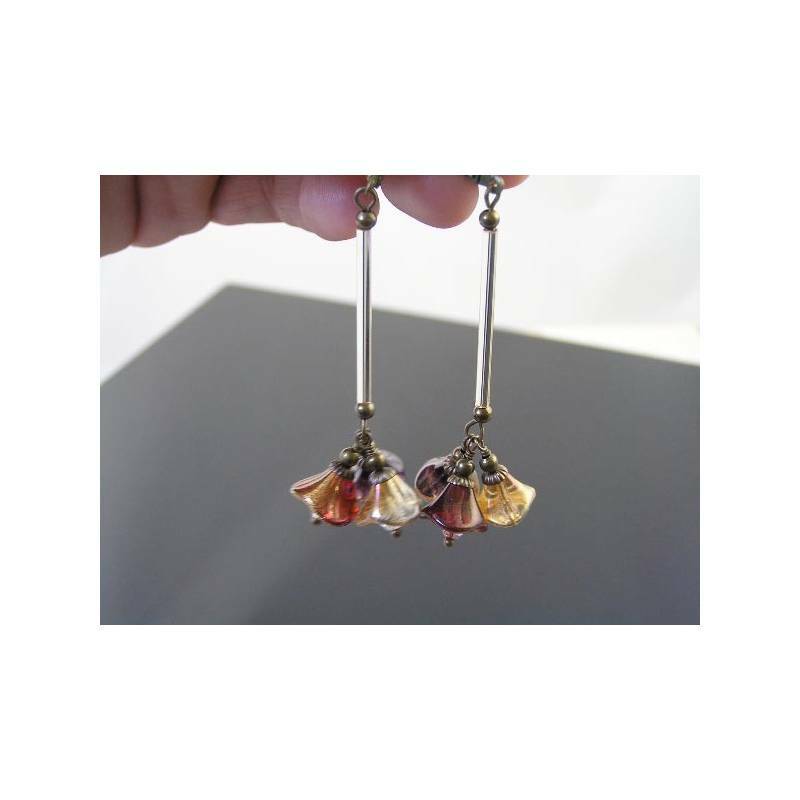 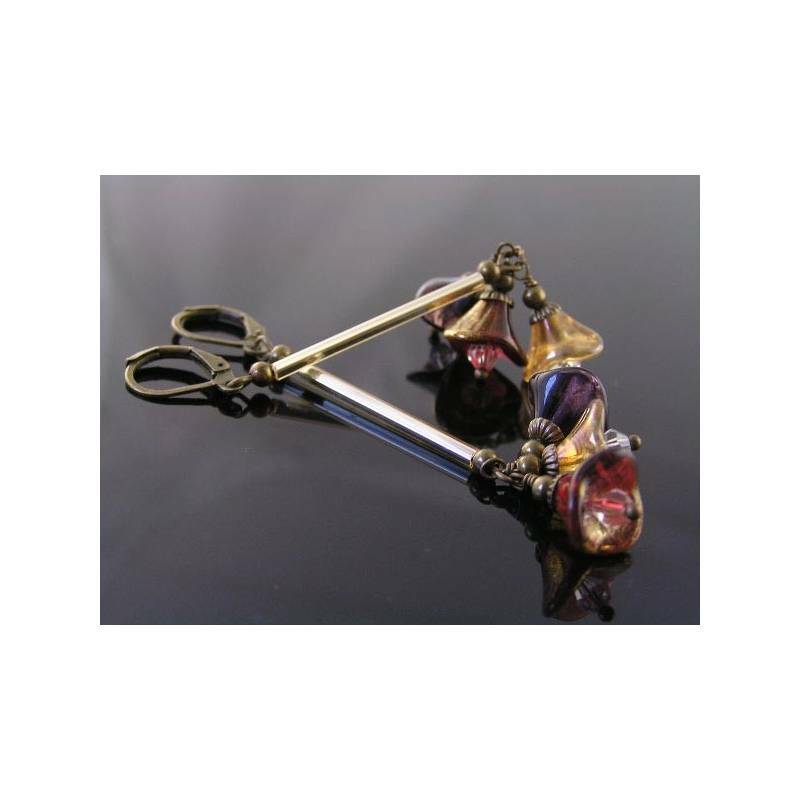 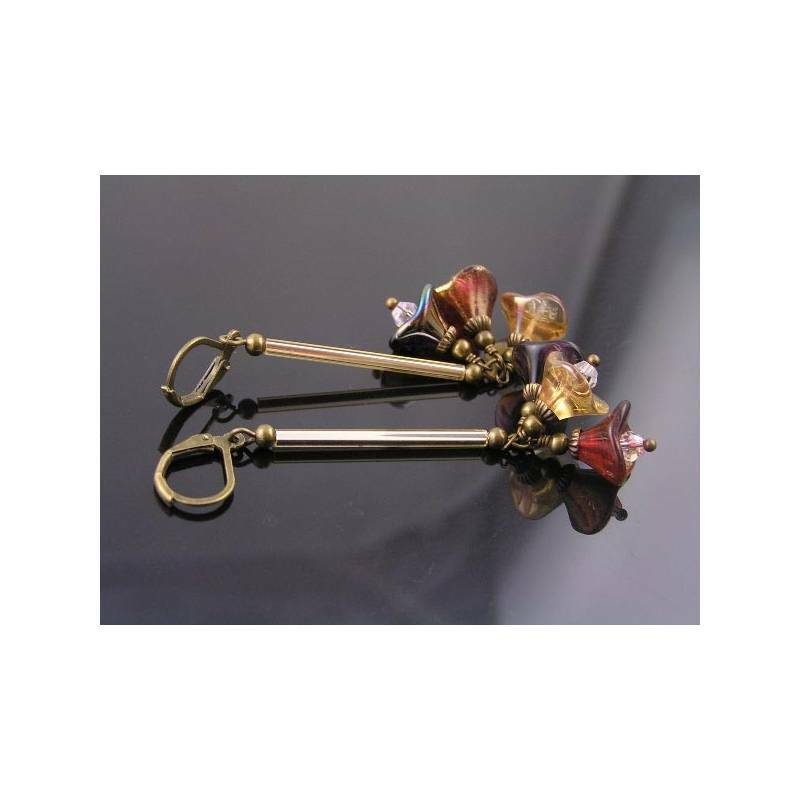 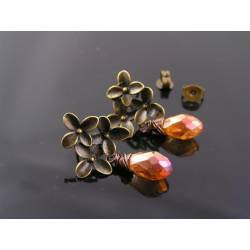 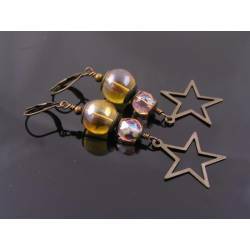 The shiny gold bugle bead connects the flower trio with the secure lever back ear wires. 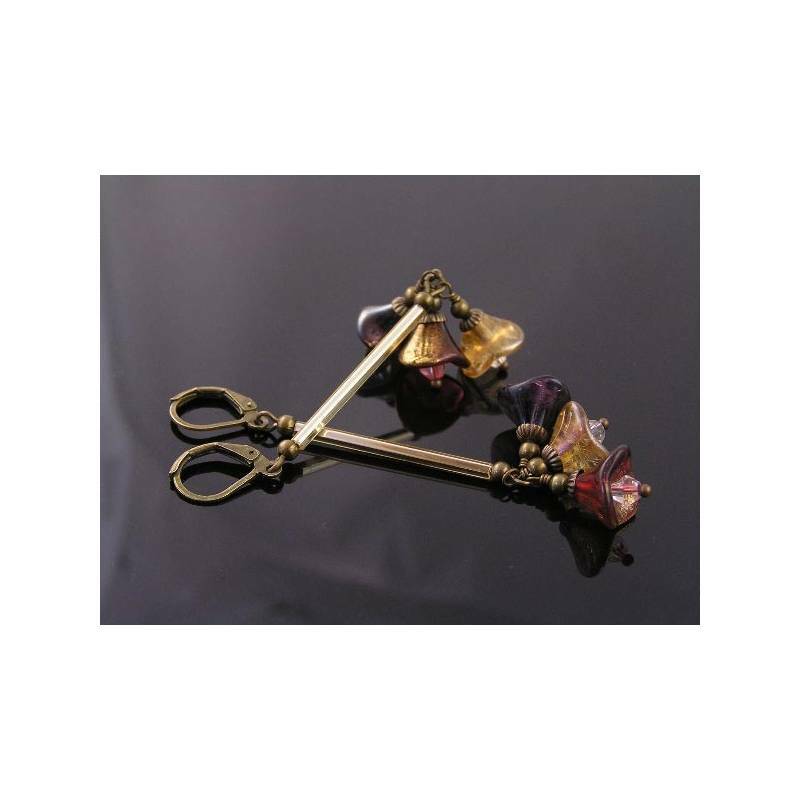 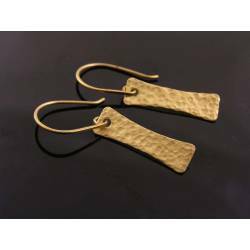 All metal is antique bronze finished. 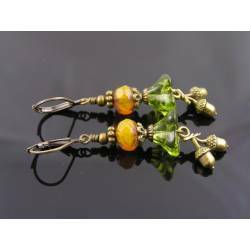 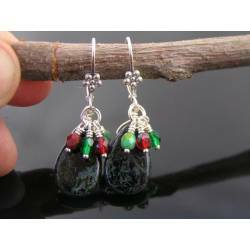 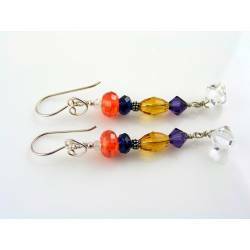 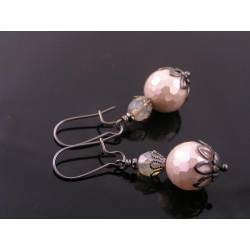 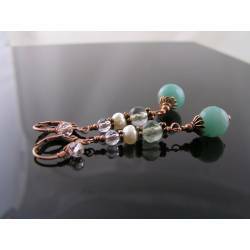 Other colours (glass beads and metal findings) are available.